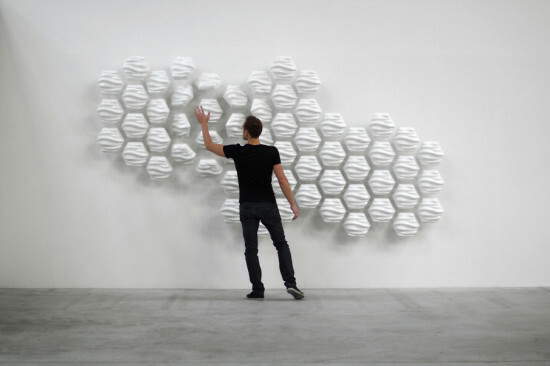 Canadian graphic designer, Thibaut Sld., has created an interactive wall that responds to human presence. The impressive installation—which is equal parts CGI and home design—is known as HEXI and is comprised of 60 mounted modules that work in-sync with motion detectors to track, and then mirror, a person’s movement along the wall. So, essentially, when a person near the wall moves, the wall moves with them. Brave new world.